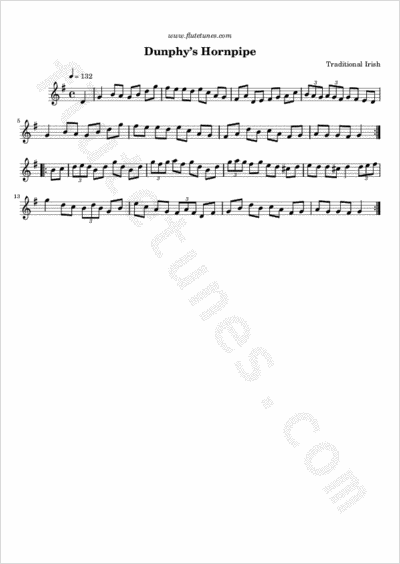 This G-major hornpipe has been popular for many decades at Irish sessions. Dunphy was a piper and one of Captain Francis O'Neill's sources for his Irish music collection. O’Neill titled this nameless tune after him, even though the melody was also known to another of his sources, Father Fielding, who had heard his mother lilting it, indicating some circulation in County Kilkenny.